Yesterday night, I was sitting in my hostel common area, hashing over the pros and cons of spending an incredible amount of money on a Galapagos island trip with two other girls. Backpackers are hyper aware of the amount of money in their bank accounts and the cost of every little thing. For example, earlier yesterday, three of us chose to not eat at a restaurant offering up dishes for $5, when we could get a set two course meal for $1.50 down the street. A couple of bucks doesn’t seem like much, and you could probably call me cheap, but you’d be surprised at how swiftly it can add up, and how easily those lost dollars can translate into another week of accommodation somewhere. 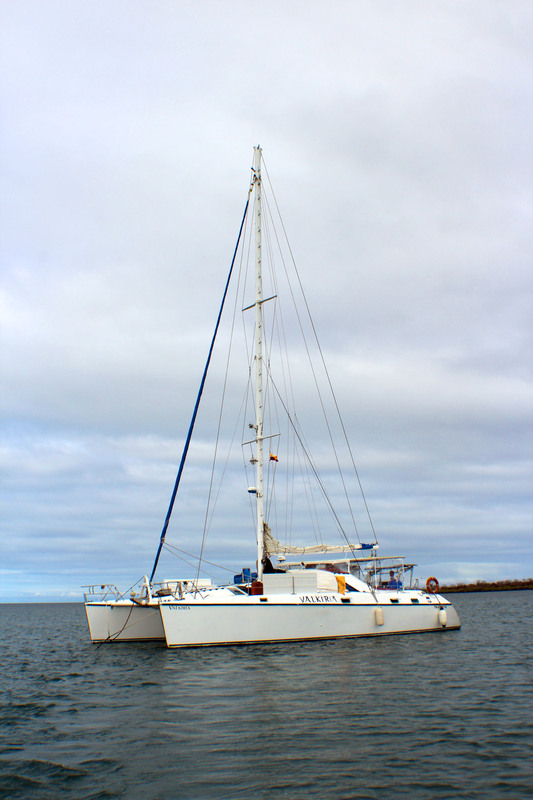 I ended up booking the trip, and this is the catamaran we’ll be hanging out on for 8 days! The Galapagos have been a dream of mine since I learned about Darwin in high school. I’m a biology lover and the Galapagos are the epitome of biology and evolution. I will always be able to earn back the money I blow on this trip sometime down the road, and, really, what else were credit cards designed for?! This experience will be priceless memories created and money well spent. And sometimes, scraping by on crummy hostel-cooked pasta and the cheapest dorm room gets a little… tiring. So what better place to enjoy luxury than while I explore an incredibly diverse environment on a catamaran cruising around some of the most incredible islands in the world? That sounds a heck of a lot better than attempting to island jump and day trip around on my own. …Because you only live once right? You’re doing some pretty amazing things and you have only been gone a month lol.